U.S. and non-U.S. companies continue to face a more challenging environment in complying with U.S. international trade laws, particularly those with extraterritorial reach, as the regulatory landscape in Washington D.C. continues to grow more complex. On June 27, 2018, firms doing business in Iran saw one of the first tangible effects of the U.S. Government’s decision to withdraw from the Joint Comprehensive Plan of Action (JCPOA) when OFAC revoked two key licenses (General Licenses I and H), which had authorized Iran-related business transactions. More recently, senior European officials, who have condemned renewed U.S. sanctions against Iran as a violation of international law, have moved to adopt a “blocking statute” that they say will shield European companies from sanctions if they continue doing business with Iran. The E.U.’s plan to “block” the renewed sanctions will at best make compliance with U.S. laws more complex for U.S. and E.U. companies. If E.U. companies indeed proceed on the basis that they are shielded from U.S. sanctions and continue to do business in Iran, U.S. companies will have to exercise greater diligence in choosing European business partners. U.S. companies would potentially have to revert to more stringently reviewing their European partnerships, lest they enter into transactions that may involve an Iranian component and thereby violate U.S. law. This could impose new compliance costs on U.S. companies seeking to ensure that their business dealings with European partners remain compliant with sanctions. In some instances, U.S. companies may find it more difficult to get the cooperation they would need from an E.U. partner to ensure compliance and may need to engage in a dialogue to explain the new limitations imposed by OFAC’s actions. In other contexts, a U.S. company may find that they need to curtail dealings with new or existing European partners when they are unwilling or unable to assist in providing more in-depth information about transactions in high-risk areas. U.S. companies should review their existing compliance policies and procedures to ensure that these are adjusted accordingly. In particular, companies should update training around the risks involving potential dealings with Iran and distribute it to key employees and third parties. Our U.S. and E.U. compliance practitioners can assist you with updating and tailoring compliance programs and training. As it now stands, however, it appears unlikely that larger and multinational E.U. companies will continue to do business with Iran, given the scope of secondary U.S. sanctions. Larger companies seek to operate worldwide and thus have an incentive to be compliant with all regulations. Small and medium-sized E.U. companies with little to no business activities in the U.S., however, may be unprepared for the broad scope of extraterritorial U.S. sanctions or may view the risks as outweighed by the advantages of operating in the Iran market. Thus, a medium-sized E.U. company could find itself in the complicated situation of refusing to cooperate with a U.S. enforcement investigation for the sake of complying with the E.U. “blocking statute.” The possibility of multiple or conflicting obligations could be problematic for smaller or medium-sized E.U. companies. Accordingly, the impact of the E.U. regulation remains unclear. Any E.U. companies with U.S. business dealings should nonetheless stay abreast of the regulatory landscape, given its state of flux. Under the JCPOA, the U.S. implemented two General Licenses which authorized non-U.S. subsidiaries to engage in Iran-related business transactions. 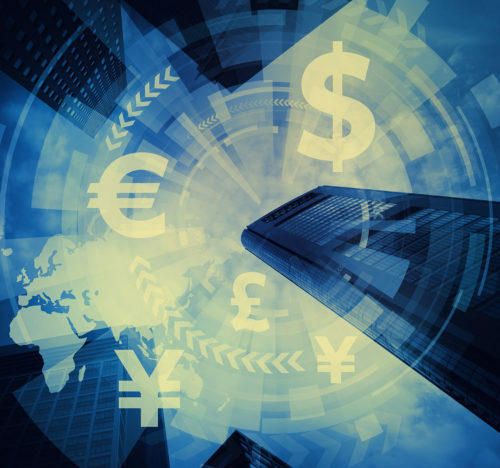 This was a key concession aiming to ease secondary sanctions and benefit companies with operations in Europe and Asia. With the revocation of General Licenses I and H, OFAC has closed that door – albeit a door which few companies had risked even trying to open. With its most recent action, OFAC also amended the Iranian Transactions and Sanctions Regulations (ITSR). New additions to the ITSR authorize all transactions and activities that are incident and necessary to the wind-down of activities that were previously authorized under General Licenses I and H. Any transactions previously authorized under General License I were required to wind-down by August 6, 2018. Transactions authorized pursuant to General License H have until November 4, 2018 to wind-down. The amendments also narrow the scope of the Iran-related general licenses authorizing the dealing of certain goods and services. These revocations resulting from the U.S. re-imposing sanctions also affect some non-U.S. companies. General License H authorized non-U.S. subsidiaries of U.S. entities to engage in Iran-related business transactions. As a result of the revocation of General License H, any non-U.S. company that is a subsidiary of a U.S. entity must fully wind down activities with Iran. According to the U.S. Department of Treasury “these actions are in furtherance of the President’s May 8, 2018 decision to withdraw from the JCPOA and to begin re-imposing the U.S. nuclear-related sanctions that were lifted to effectuate the JCPOA sanctions relief.” At the end of the applicable wind-down periods, the sanctions on Iran will be in full effect. These regulatory changes have been closely followed by a number of announcements by senior U.S. Government officials warning that OFAC plans to move to enforce sanctions actively and with a view toward denying Iran any room to operate in international markets, in particular those involving transactions denominated in dollars. Reportedly, some U.S. companies trying to leave Iran in accordance with the coming sanctions welcomed OFAC’s actions. With regard to existing agreements, the resumption of sanctions and license revocations may trigger exit provisions in contracts between U.S. based firms and their subsidiaries and Iran. These contractual exit provisions would allow firms with obligations to Iranian entities to end their partnerships without liability.